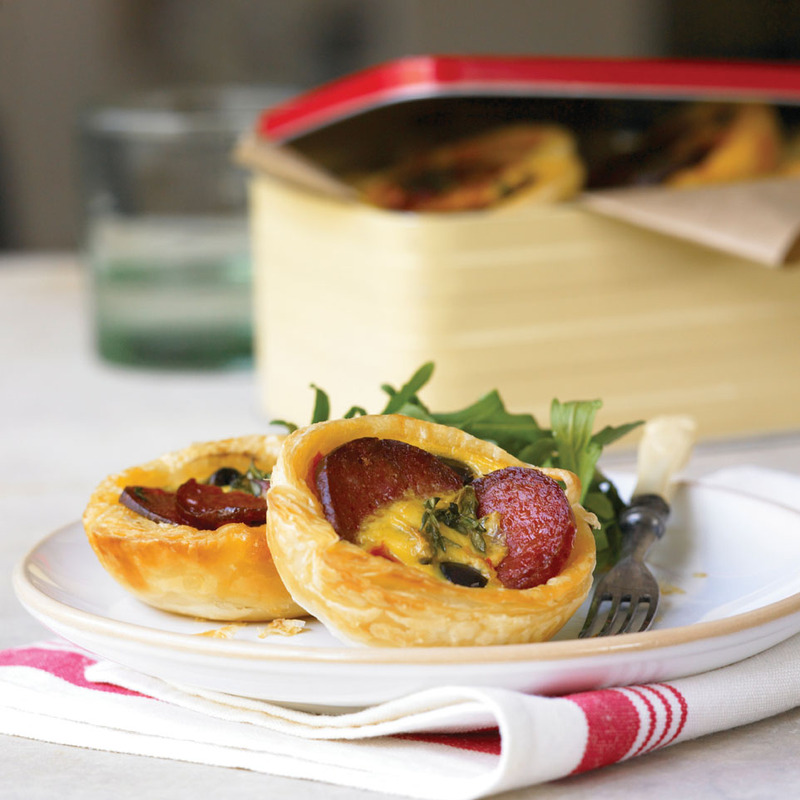 This is a tasty treat to serve guests – individually sized for easy eating. So simple, so delicious! Heat the oil in a saucepan over medium heat. Add the onion and cook, stirring occasionally, for 15 mins or until golden. Meanwhile, combine the olives, capsicum and vinegar in a small bowl. Set aside for 15 minutes to soak. Add the olive and capsicum mixture, sugar and water to the onion. Cook, stirring occasionally, for 10 mins or until the mixture thickens. Season with salt and pepper. Set aside for 1 hour to cool. Preheat oven to 180°C. Line 2 baking trays with non-stick baking paper. Use a 6cm-diameter round pastry cutter to cut 16 discs from the pastry. Place the pastry discs on the lined baking trays. Use a 4cm-diameter round pastry cutter to make a 1cm-wide border around the edge of each pastry disc (do not cut all the way through). Use a fork to prick the centre of each pastry disc all over. Keeping within the border, spread ½ teaspoon of onion mixture over each pastry disc and top with 2-3 slices of Don Danish Salami.